He served as President of the United States from 1829 to 1837, and now he can serve as fantastic decoration for your desk! 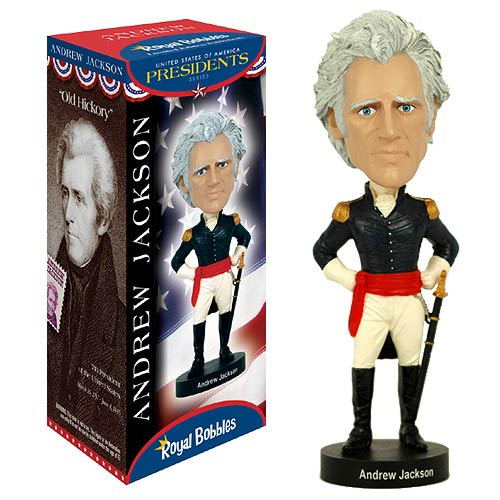 This Andrew Jackson Bobble Head features the 7th president wearing his military suit. This extra-large bobble head measures over 8-inches tall! Ages 13 and up. Made from ceramic.